[Campaign Closed] The Venerable Matthieu Ricard, please speak out against the brutal dog meat trade in South Korea. Home / Blog / [Campaign Closed] The Venerable Matthieu Ricard, please speak out against the brutal dog meat trade in South Korea. [Update July 26, 2017] The Venerable Matthieu Ricard has responded to our campaign. 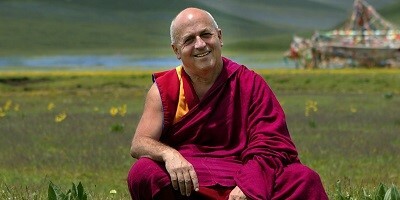 The Venerable Matthieu Ricard has responded to our campaign by writing and publishing this article: A Dog for Dinner? on his homepage as well as in the Huffington Post. It’s written in his native language, French, as well as in English. Click HERE for English. A Dog for Dinner? Click HERE for Français (French). Du chien pour le dîner? We appreciate that The Venerable Ricard spoke out against the dog meat cruelty while also emphasizing the need for compassion toward all animals. Thank you!! The Venerable Matthieu Ricard – sometimes called “the happiest man in the world” – was born in France in 1946. He trained in biochemistry but left science behind to become a Buddhist monk, living in the Himalayan region. He is a humanitarian and a prominent speaker on the world stage, in addition to being a French interpreter for the Dalai Lama, a photographer, and an international best-selling author on subjects such as ‘Happiness’, ‘A Plea for the Animals’ and the meeting of Buddhism with science. We would like The Venerable Matthieu Ricard to speak out against the practice of eating companion animals and the cruelty involved in the dog and cat meat trades, and to share the Buddha’s teachings on compassion to animals with people across the world. Please call, email and write to The Venerable Matthieu Ricard today! You can use our sample letter below or use your own words. Click HERE to send online message. You teach that: “every bear, dog, or mouse experiences sorrow and feels pain as intensely as we do”. Each year, around 30 million dogs are slaughtered and eaten in Asia, including Korea, China, Indonesia and Vietnam. In South Korea alone, it is estimated that, annually, 2.5 million dogs and thousands of cats are brutally slaughtered and eaten. Dogs that are bred on dog farms live in miserable conditions. In South Korea, dog meat consumption is illegal but their Government is allowing it to continue, thereby causing immense suffering to these animals. All breeds of dog are used for meat, including stolen pets and abandoned dogs. They are confined to small, filthy cages, given rotten food and scraps which are unfit for consumption, denied space to exercise, and given no shelter from extreme weather conditions. They cannot even feel the ground beneath their paws as they are contained in wire cages, raised off the ground. These conditions are deplorable and cruel. Dogs are slaughtered in the most brutal and painful methods, often in front of other dogs which watch in fear for their lives. They are beaten, stabbed, hanged, butchered, thrown into pots of boiling water, skinned, electrocuted or blow torched – often whilst still alive. This inhumane torture has to stop. Venerable Ricard, you also teach that “compassion towards … beings, including our fellow animals, is the direction towards which any enlightened society must aspire.” South Korea is a successful and prosperous nation, but it is not ‘enlightened’: there is little compassion shown to any of these animals, in any of the processes in the dog and cat meat trades. Please join us in speaking out openly against the violence that is being perpetrated daily in South Korea towards these animals; please help stop these barbaric acts of torture, and the unimaginable suffering. An online petition calling for your support to help end the horrendous dog and cat meat cruelty is in progress: https://www.change.org/p/mr-matthieu-ricard-mr-matthieu-ricard-please-speak-out-against-the-brutal-dog-meat-trade-in-south-korea. Please do something to stop this deplorable, despucable, cruel practice. egging you ? It is painful to see our fallen, sinful nature in action. We must repent, and receive God’s transformative atonement for us…or. It’s not about repentance as such because Spirit allows us to behave as we wish here on earth as we endeavour to learn the lessons we set out for ourselves before we returned this time , and then when we return to Spirit on our death we seek our own forgiveness. However this horrendous trade must be stopped as any cruelty to another living being is always wrong. Thank Goodness they will not be able reincarnate again ! It is sad that Jesus who was such a good healer and peacemaker has recently returned to the spiritual plane as he was such a wonderful leader. Please stop his horrible practice of dog killing and torture. These animals are raise with our children and are loved. Send them to USA live and we will love them. This has got to STOP!!! Its hard to believe that such brutal things happen in the 21st century.i would like to look into the eyes of those who do that! I am a concern person who Loves ALL DOGS & CATS. BUT WHAT Hurts really bad, is your PEOPLE are not only killing the BELOVED DOGS & CATS there but your people are eating them as well. -PLEASE STOP THIS AT ONCE, IT IS HURTING ALL OF US HERE IN THE USA. why can’t your PEOPLE EAT SHARKS, AND some of those OTHER bad Fishes. and Leave our BELOVED DOGS & CATS ALONE. ALL OF YOU ARE BAD NEWS THERE IN SOUTH KOREA. YOU ALL DON’T THINK ANY THING BUT YOUR ON SELF’S, AND YOU ALL DON’T GIVE A RATS NEST WHO YOU ALL HURT. SO WHY DON’T YOU ALL FEED YOUR SELF TO A GREAT WHITE SHARKS AND BE DONE WITH IT. Please,help us to stop this!dogs are our beloved friends! It is not imageable, how a human person can be so cruel and so barbaric to animals! are 100 % evil! We wish these animal torturers the most horrific death, that can happen on earth! Please stop this horrendous torture of dogs and cats, our dearest companions of the animal kingdom. It is our duty to speak for those who cannot, and do all we can to protect them. Hello, where is the e-mail adress? Not all people like facebook, twitter and so on!!! Was there any response from facebook??? I think no !! !